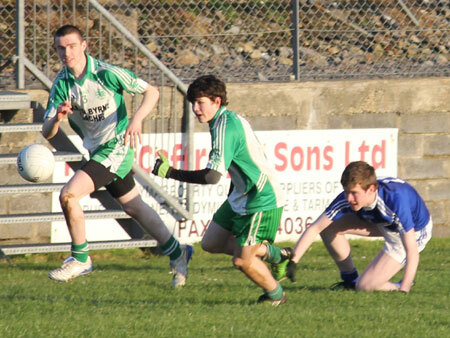 Aodh Ruadh delivered an authorative display to make it three wins on the bounce in the league. It was a game where Colm Kelly was quite simply outstanding, but the win was based on an eye-watering work ethic right across the park. This is quite a team. 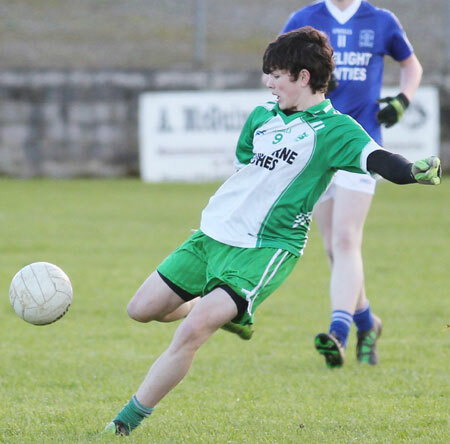 Aodh Ruadh opened scoring with three early points, but Glenties struck back with three of their own to leave the game level going into the second quarter. 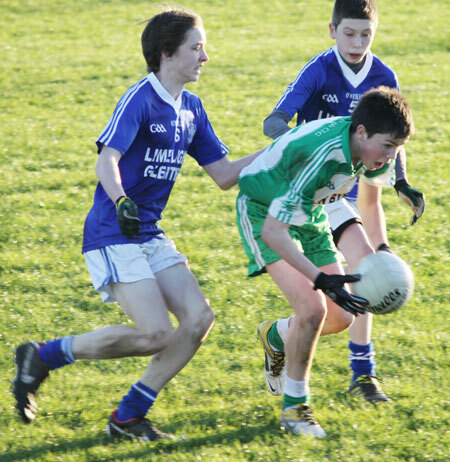 Aodh Ruadh took charge in that second quarter and enjoyed lengthy spells of possession. 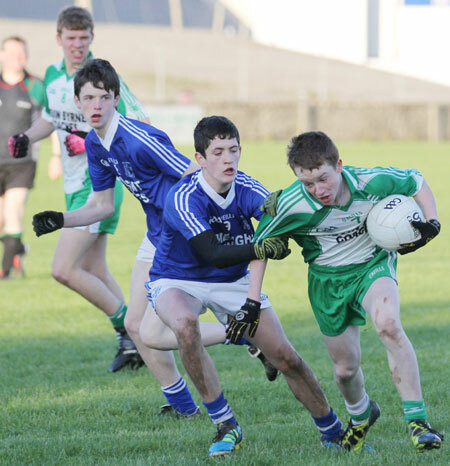 Glenties put up a doughty defensive performance and Conal McGeehan made two truly exceptional saves to deny goal-scoring chances. Ballyshannon had the wind and there was the possibility that they weren't making the most of their possession and the breeze. Three points were added during the second 15, but that didn't look like it was be enough of a cushion heading into the second half. It was a minute into injury time when Philip Patton dropped a speculative ball into the penalty area. 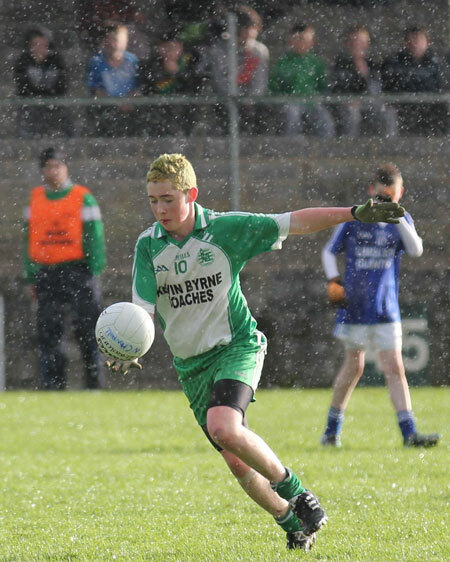 Stephen Thompson pulled on it first time and saw his shot squirm through a maul of Glenties defender and dribble along the goal line before hitting the far post and falling exhausted just over the line. 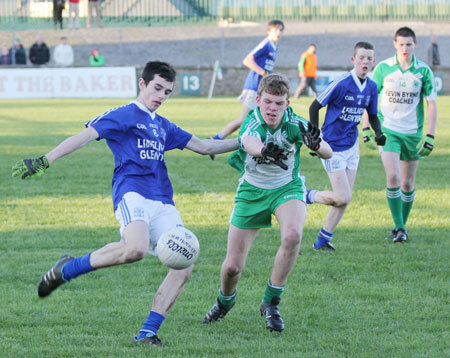 It was a fortuitous goal, but it was a hammer blow to Naomh Conaill's chances. 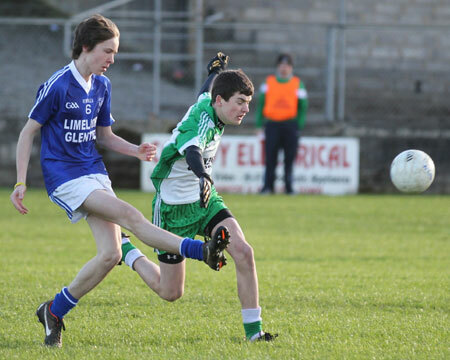 Glenties opened the scoring three minutes into the the second half with a fine point from Cathal McGuinness, the pick of the Naomh Conaill attackers. 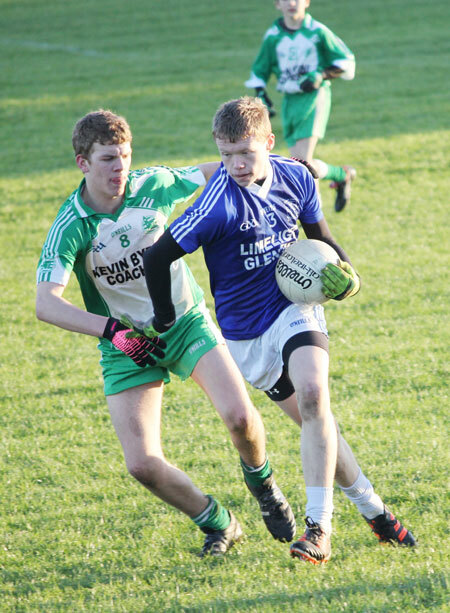 Half time substitute Ultan Doherty cut the deficit further with an effort straight from Kevin Warnock's kick-out That left the scores at 1-6 to 0-5, but it was as close as Glenties were to get to the Ernesiders. 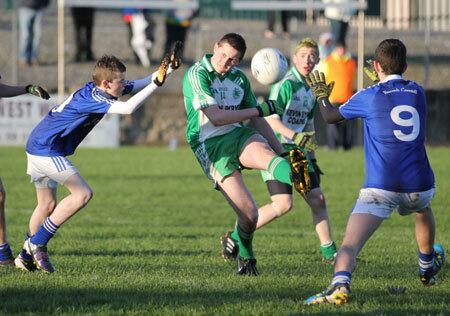 Ballyshannon owned the last 25 minutes and they gave a commanding display to ease away from their opponents. 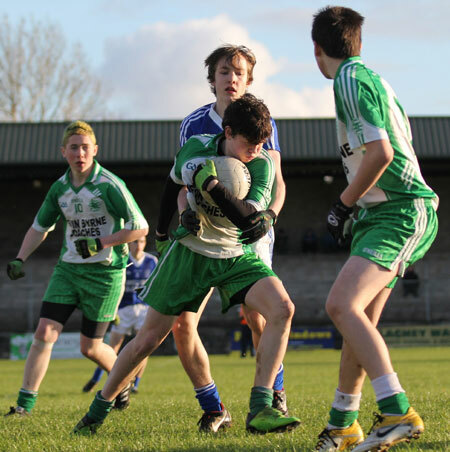 Colm Kelly initiated this phase with a majestic catch in centre field and instantaneously battering the ball into the Naomh Conaill square where Shane McGrath judged a perfect fisted effort past Conal McGeehan. It was as beautiful a score as you could ever hope to see. 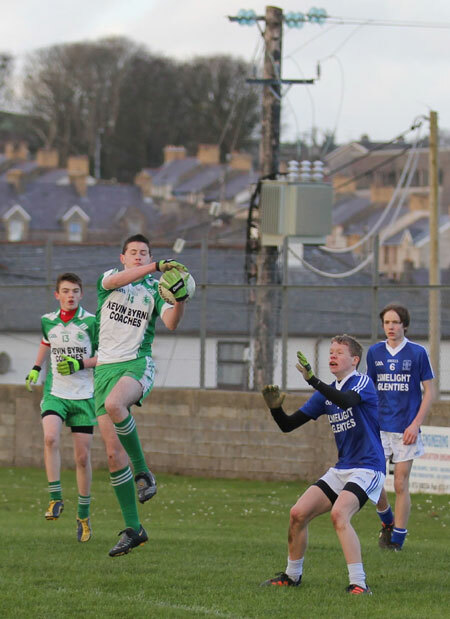 Glenties were close to fashioning an instant response, but Kevin Warnock made a fabulous save and Aaron Gallagher pointed from the rebound. 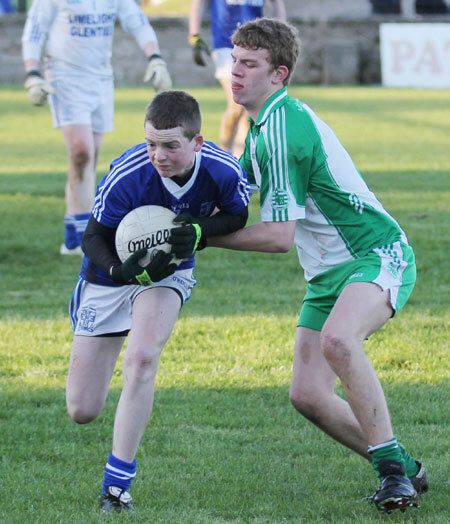 Naomh Conaill had two excellent operators in the middle of the field and it was Ethan O'Donnell who was next on the mark with a super point from distance to cut the gap to five points. With economy of effort Stephen Thompson was able to restore the two goal cushion with a close range point a minute later. A minute later again and the game was killed by another fortuitous goal. 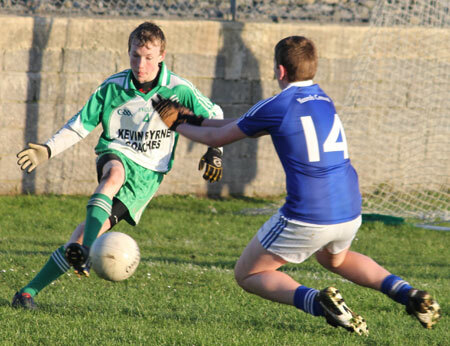 Colm Kelly was advancing with menace through the Glenties defence and, rather than taking the handy point, opted to try his luck with a shot on goal. His low rasping shot looking destined to slip just wide, but Naomh Conaill full back Stephen Moore stuck his boot out and glanced the ball into his own net to make the scores 3-7 to 0-7. 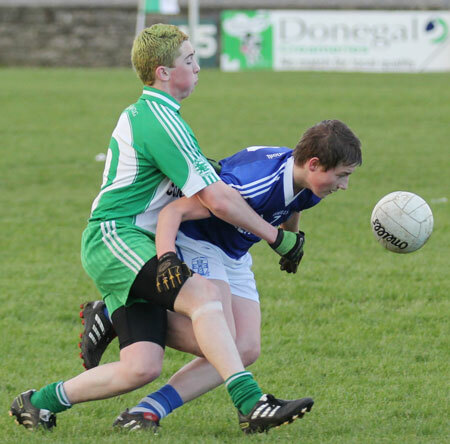 Cathal McGuinness and Philip Patton exchanged points before McGuinness found the net with two minutes remaining. 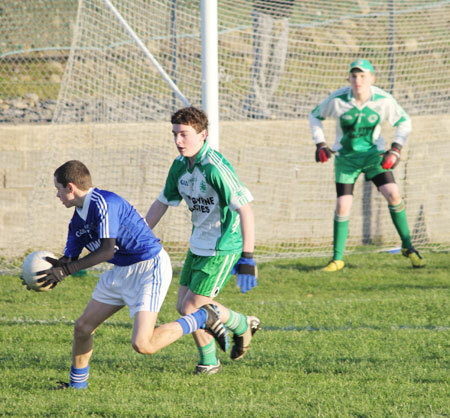 Patton was instrumental in creating Aodh Ruadh's reply in the last action of the game. He intelligently chipped the ball up to Stephen Thompson who blasted a rocket past Conal McGeehan. Thompson finished the game with 2-3, a remarkable haul given his rather laconic playing style. 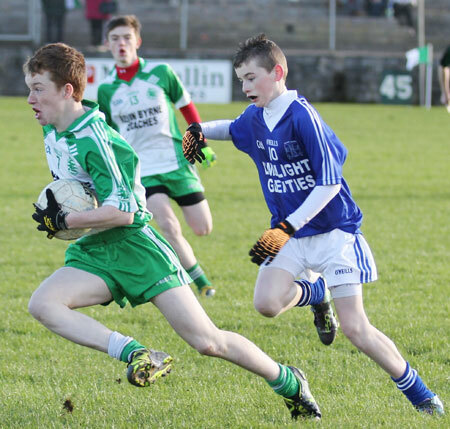 From front to back it was a phenomenal performance by Aodh Ruadh. Eugene Drummond and Nathan Boyle in the corners are both fine footballers and they are well served by Matthew Maguire at full back, a man playing with authority and cool. The half back line epitomise the work ethic of this team. 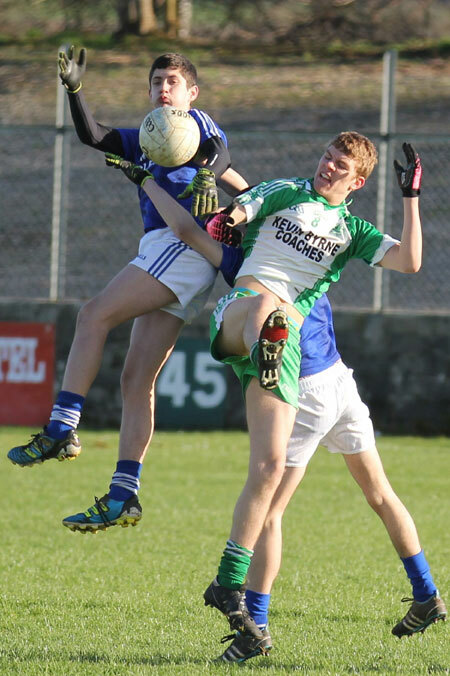 The incessant tackling of Cookie O'Halloran, Ellis McGuinness and the positional sense of Conor Kennedy made it very difficult for Naomh Conaill to get any forward traction. The midfield deserve a special mention. 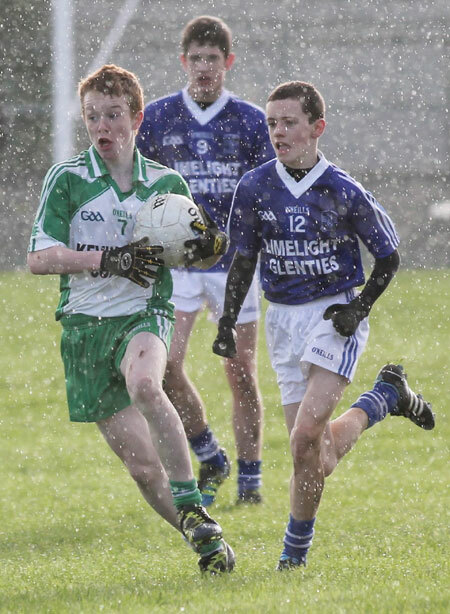 Colm Kelly is simply a sublime footballer. He has it all, skill, strength, speed, determination and the ability to turn a game by sheer force of will. Niall Harley worked himself like an absolute dog. 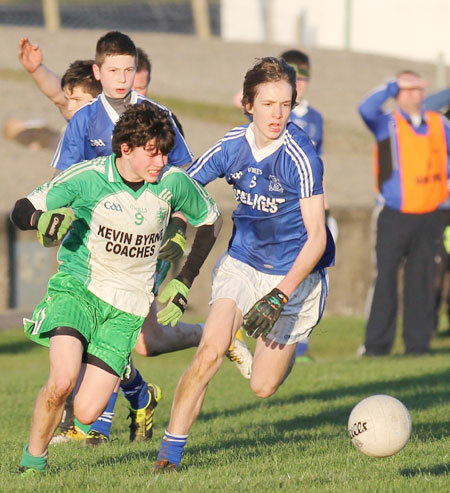 It would have been interesting to put a GPS monitor on him because he racked up a serious amount of running against Glenties. There wasn't a blade of grass in Father Tierney Park he didn't cover. 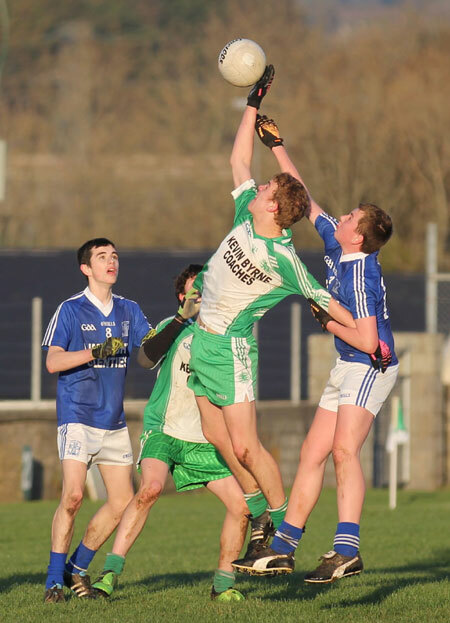 Eddie Lynch had an exceptional game and while Philip Patton wasn't quite at his sparkling heights, he still had too much for Naomh Conaill and was central to many Ballyshannon scores. 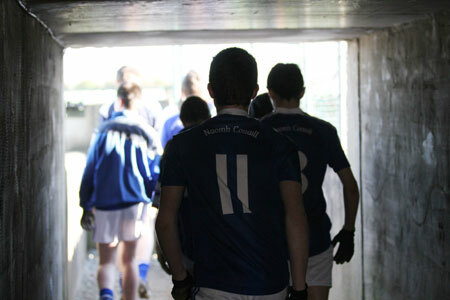 Shane McGrath's goal will live long in the memory while Jason Gallagher and Ois�n Roper got through a sight of work. Stephen Thompson will bamboozle many more a defence and a sideline before the season is done. 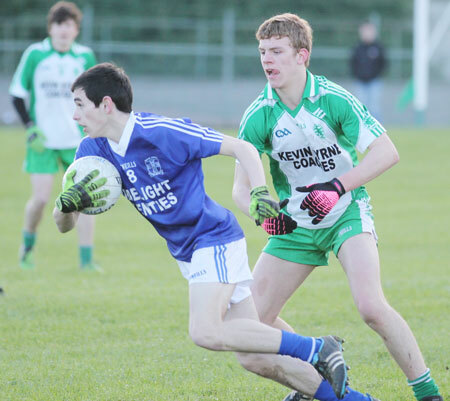 The win puts Aodh Ruadh top of the division as they face a trip to the last remaining unbeaten team in the division, Killybegs. That is in Fintra next Sunday at noon and looks set to be another epic encounter. 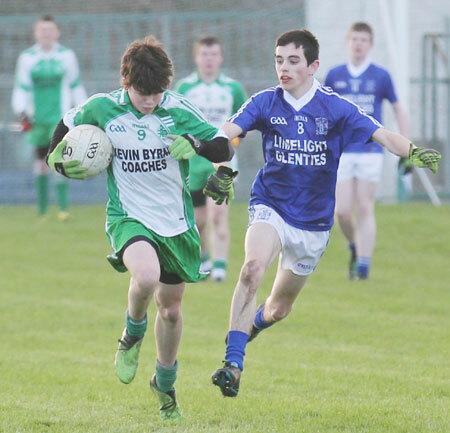 Kevin Warnock; Eugene Drummond, Matthew Maguire, Nathan Boyle; Ellis McGuinness, Conor Kennedy, Calum O'Halloran; Niall Harley, Colm Kelly (0-1); Eddie Lynch (0-1), Philip Patton (0-3, 1f), Shane McGrath (1-0); Jason Gallagher, Stephen Thompson (2-3), Oisin Roper. 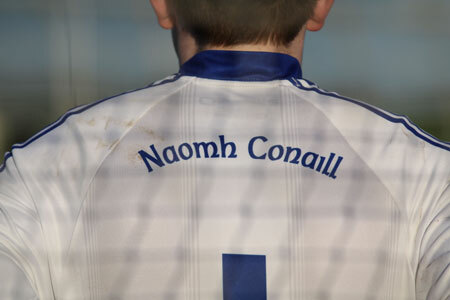 Substitutes: Ryan Gallagher for Shane McGrath: 55 minutes, Daniel Mannion, Jamie Campbell, Donal Sweeny. 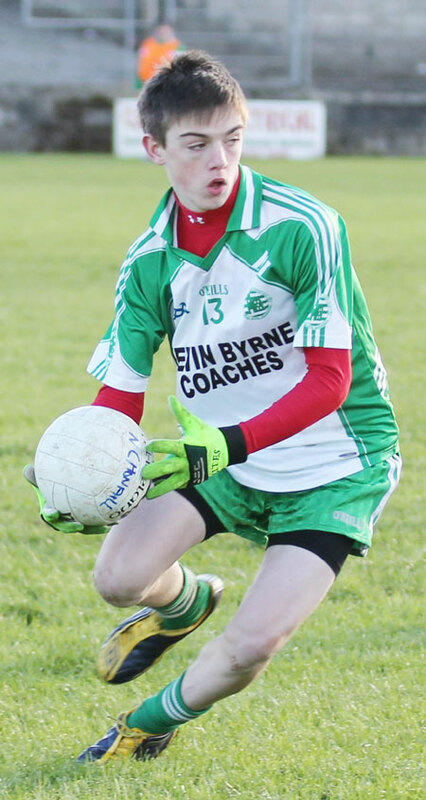 Conal McGeehan; Jonathan Molloy, Stephen Moore (1-0 og), Mark McNailis; Reece McDyre, Maitis McKelvey, Oliver Stanislawezyk; Kevin McGettigan, Ethan O'Donnell (0-3), Jamie Crannley, Aaron Gallagher (0-1), Eoin McGettigan; Gerard Doherty (0-1), Cathal McGuinness (1-2, 1f), Paul Quinn. Substitutes: Ultan Doherty (0-1) for Oliver Stanislawezyk: Half-time; Stephen Griffin for John Molloy: 39 minutes.